(Oh I’m game for some MLP. Personality: A rambunctious and rough gal who loves to tussle. She's a bit of an airhead at times, but means well. Personality: An abrasive and cynical guy who dislikes most things that don't relate to himself or the night. He likes to be alone, and due to this he has a very small friend group. He is missing his left wing, hidden under his jacket. 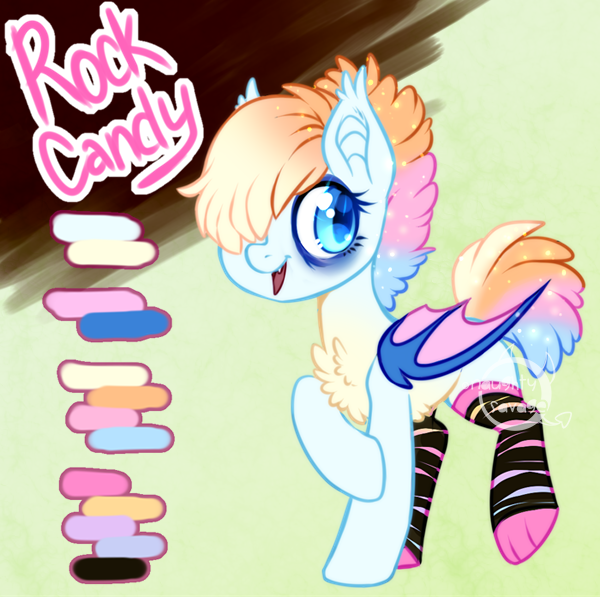 Personality: A flirtatious yet cynical stallion who loves to tease those around him. He prefers to be with others, despite them probably not wanting to be around him. He takes his job seriously, despite how aloof he appears. Pop Rock was closing up her shop, humming to herself. She looked up at the evening sky and smiled, nighttime was always her favorite time of day. She knew she'd be up at least a little longer to watch the stars come out and thank Princess Luna for the beautiful sight and sweet dreams. She finished packing away her things and flew up to her roof, watching the sky in the pale moonlight. Lucius was by a stream, hidden away from the other colony members. He was washing his hooves to clean any paint that may have been left on them from the message he left for Dawn's Sunlight. Later that day, he and a few of his friends had decided to tell the mare how they felt about her being their princess's student. Small insults and such were written onto her door, knowing she'd see them later. Lucius chuckled to himself, finding the thought of Dawn's Sunlight stepping down due to all of the backlash satisfying. Honestly, he didn't even know why Princess Luna picked her. It irritated him to no end. He felt that she had no place using her sunlight magic in a colony meant for the night! 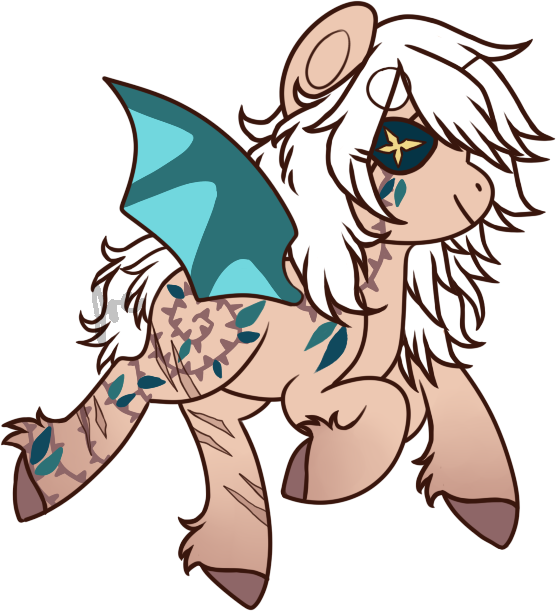 The bat pony tried to calm himself down, snorting in distaste. Whatever. She'd get the point soon. Beau Arrow was stationed at his post, watching the night sky. He was an avid stargazer, often slacking due to this. The white-haired stallion gave a small thanks to Princess Luna under his breath and continued to observe the sky while stealing glances at his surroundings to appear busy. Roseflight's wings fluttered under his bags uncomfortably as he trotted into town. He had moved from his barn in ponyville to Luna's colony, hoping that it would be harder to find him in a foreign place. As he walked around, he seeing all the bat pegasi which put him on edge. A pegasus with bat wings? How? Is this.. normal? The species variation confused him, why would anyone want to look like bats? He stopped by a stream, dropping his bags down before pulling out a flask and putting it in the river to get fresh water, unaware of anyone around. (Basic image that kind of fits what I'm talking about, except, more of a filly and less princess like. "I don't think I will be needing anything else tonight Nightshade. Have a good rest of your evening Nightshade. See you in the morning." Dawn's Sunlight said with another smile as she went into her room. "Thank you for helping me Nightshade." She added again before she used her magic to move the door. “You as well.” Nightshade said while turning. He then turned to look at her, “and it my pleasure. It is my duty to help others like you.” He said with a smile. He then sighed as she closed the door. He returned back to his post. He began to plan some drills he could run his ponies through the next day. If they were to be top of their class they had to stay on their hooves. Rosaline was walking home the castle. She had hurt her hoof pretty badly in training a week prior so she’d gotten a few weeks off from guarding the castle. Despite being off duty, Rosaline still went to the castle to do training sessions with some of the other ponies on duty. Rosaline shivered in the night air. Her short, curly pink hair stuck out against her grey coat. She walked down the streets of the town, wondering who she might run into on her way home. Shadow was up late painting on a canvas out in the city streets. 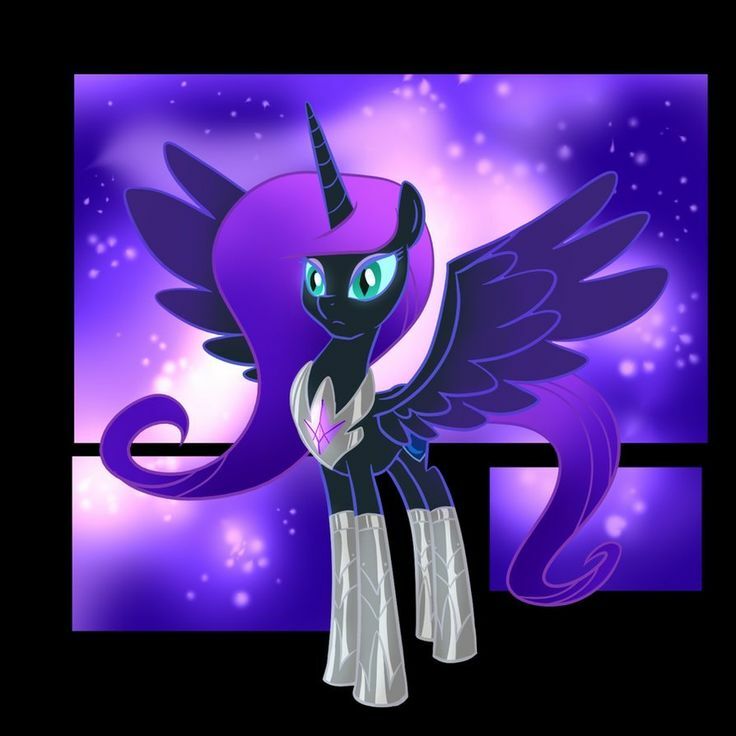 By now paint was covering her hooves and splattered on her light prirpke coat and her dark purple mane. She had been painting the night sky for some time now, but she couldn’t get it quite right. She didn’t know what was missing! Dawn's sunlight closed her door and when it was closed her smile became a frown and her eyes started to form tears as she walked past all her books into her bathroom and turned on a light and stared at herself in the mirror and sighed. "I know that Nightshade was being honest earlier but he just doesn't get that I am at my wits end." Dawn' Sunlight said to her reflection in the mirror before she used her magic to take her manebands and tail band out of her magenta mane and tail and started a shower for herself. Pop Rock finally ceased her stargazing and looked down at the streets below, seeing a mare painting something. Her curiosity got the better of her and she flew down from her perch to observe Shadow and her painting. She tried to get a sense of what she was looking at, and determined it was the night sky! The bat pony squealed a bit, smiling at this. "Oooooh, that's so pretty!! You know what it needs though? A TOUCH of glitter! I got some edible glitter in my shop, hang on!" She exclaimed without warning, not giving Shadow a chance to even respond before she darted off to find her bag of glitter. 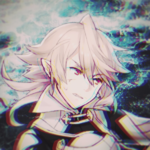 Lucius stared at the newcomer by the stream, giving him a glare before getting up to leave. He'd never seen him around before, and wasn't going to start knowing him now. He brushed his bangs out of his face before departing and heading back to town, trying to stay silent so Roseflight wouldn't notice. Astra was walking idly, she had left Luna's place, the hidden changeling pony walked idly by, listening to simple birdsong as she settled to sit on the ground, staring out over gardens that grew. She looked at peace, but tired, holding her form up for as long as she did was a bit draining. Lucius gave a deep and exaggerated sigh, sitting down and pressing his hoof to his face. He looked at Roseflight with disdain before answering him. "You can. Do you want to talk?" He chided, hoping his snippy response would make the other stallion leave. He flicked his tail impatiently, waiting for his answer. Roseflight froze when Lucius spoke, picking up on his hostility as he reared his head back. "UH, No, no I don't! Sorry!" He turned around and began to trot away quickly. That, That was the worst person to trust.. ever. He thought to himself as he kept walking, his mind wandering when he accidentally bumped his hoof into something, or someone. He jumped back in surprise and looked down. Roseflight looked down at the alicorn, confusion wrapping around his mind. "What... are you?" he whispered as he backed away to a wings length away before stopping. Roseflight had never seen an alicorn before! To him it was an unnatural fusion between a unicorn and pegasus that took steroids. (A unicorn and Pegasus that took steroids. Roseflight began to nervously sweat at her glare, thinking she would attack him, but was surprised as it softened. 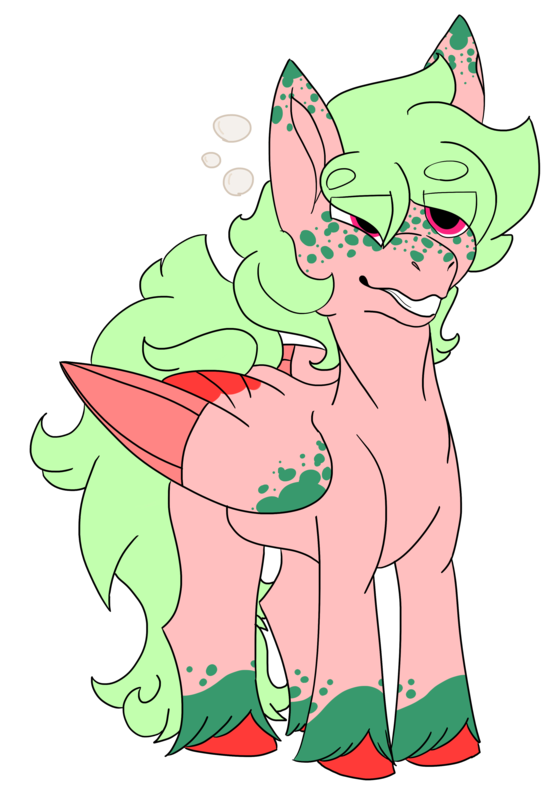 "I'm Roseflight," he looked around a bit before lowering his head a tad to try to keep his voice down, "Are alicorns, normal? Are they always as tall as you? Who's princess Luna? Is she a pegasus or unicorn?" He still believed an alicorn was the child of a unicorn and pegasus, for in his old kingdom their were no mixed breed couples, due to the rules set down by his ancestors. The thought of a 'mixed breed' ruling astounded him! How come they overthrow pegasi but aer fine with an alicorn? He had so many more questions buzzing in his mind but didn't want to ask to much. Shadow looked up at the pony with confusion. She wasn’t able to say anything before the mare rushed off. She then studied her painting, “Yeah. Glitter would look nice in this. That’s exactly what it needs!” She said to herself. She then awaited the pony’s return. ((I have Rosaline, a batpony and Nightshade, general/captain of the royal guard if anyone would like to RP with them. After Dawn's Sunlight finished her shower and dried off. She used her magic to levitate her brush over and started to brush her mane and tail of any tangles. Lunar Lullaby looked around town as she made her way around, her eyes darting about as if she suspected she was being followed. She wasn't sure if she would be safe to stop for a little, not being familiar with this area of Equestria before. Dark was walking in the dark streets of town when he spotted a pony walking in the shadows of the streets. Silently, he decided to follow her. For such a large batpony, he was able to dispear in the darkness pretty well. His dark grey coat helped with blending in the shadows. Dark followed the pony quietly. He wondered what she was doing up so late. Shadow smiled, “it’s perfect!” She said with a smile, “that’s just what it needed! Thank you.” She said while looking at the pony. “I’m Shadow.” She introduced.